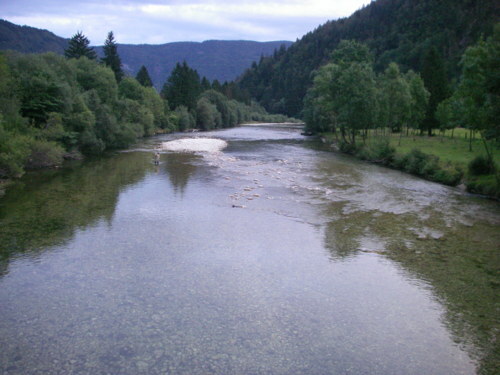 Traditionally our second day of fishing is reserved for Sava Bohinjka. After a short night we went to this beautiful river to see how has changed since our last visit. 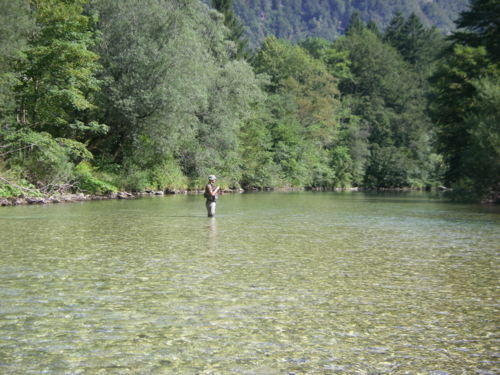 Water level was low that´s why the fishes were very cautious and diffident to our flies. 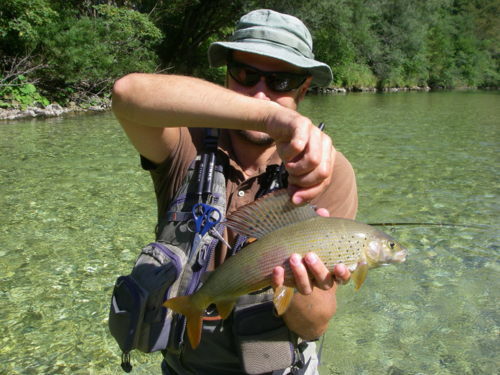 We had more success in faster parts of the river on dry flies. 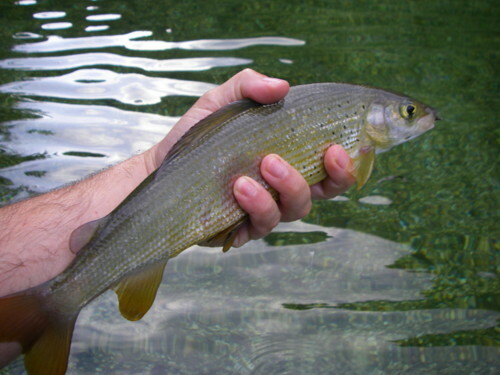 The biggest impression was given by the grayling population, because we saw a lot of graylings bigger than 40 centimeters. We caught some of them during afternoon when they started to rise. They were interested on micro dry flies tied on hooks #20-24, with the terminal line of 0,10. They really made our day fantastic. 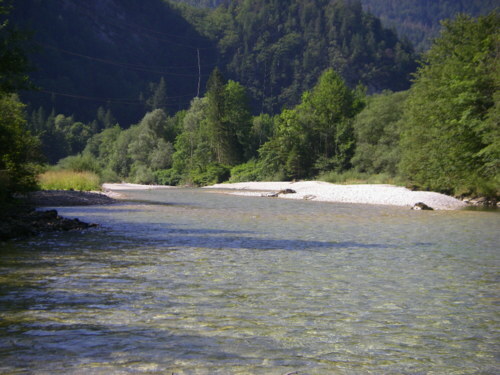 After this visit I can make a good advice: anybody who is interested to fish on Sava Bohinjka, now is the time to visit it!